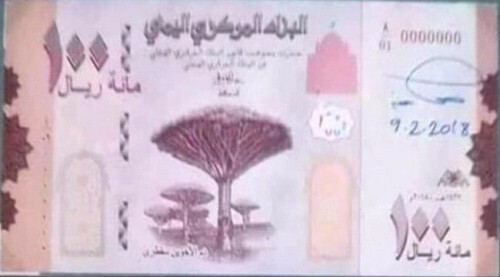 Yemen – New 100 rials. The new 100 rials banknote (YER100.5) is due to be issued in the next couple of weeks. Courtesy: Gabriel Numismatic Market, LLC, Fawzi Alali.